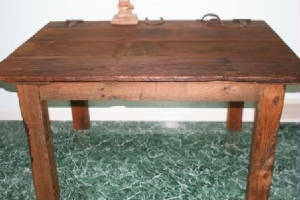 This table has been hand crafted from an authentic reclaimed interior barn door out of Michigan. 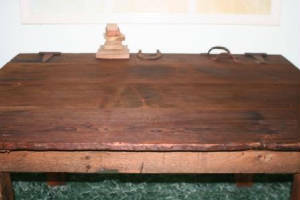 Original square cut nails, as well as hinges have left this table top with the character you would expect to see from a 100 year old barn. 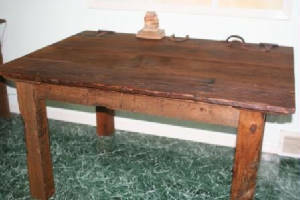 The reflection of a working barn shows on the rope marks left on the hand picked legs specially chosen for this dining area table. Shipping on this table is approximate. Please email or call with shipping information for exact shipping cost.